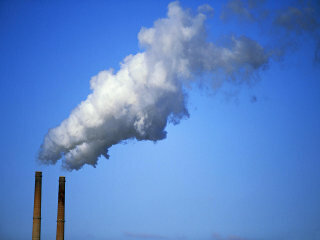 The atmospheric abundance of several greenhouse gases has increased significantly since the beginning of industrial revolution, causing a so-called enhanced greenhouse effect. The concentration of CO2 increased from 280 ppmv for the period 1000-1750, to 403.7 ppmv in May 2015 (www.co2now.org). The stabilization of the greenhouse gases at a level that would prevent dangerous anthropogenic interference with a climate system must be an important objective of our society. There are several strategies that could be used to prevent the increase of the atmospheric CO2 level. They include energy saving, alternative energy sources, or the capture of CO2 from exhaust streams. Captured CO2 could be stored in deep ocean, or in empty crude oil sites. More interestingly, it could be also used for the production of valuable chemicals. Different types of electrical discharges, acting on different mixtures containing CO2, have been already tested for this purpose. The removal or utilization of CO2 using self-pulsing discharges was also tested in our group. The aim was to utilize CO2 directly from the exhaust gases created by the combustion of natural gas. The decrease of CO2 concentration in the gas phase was accompanied by a formation of solid products on the electrodes. The analysis of these deposits showed presence of C-N bonds in chemicals related to amino acids. A synthesis of amino acids by electric discharges from inorganic gaseous mixtures is very interesting for the theory of chemical evolution of life on the Earth. Moreover, the composition of the pre-biotic atmosphere where the chemical evolution happened was similar to exhaust gases from the combustion of natural gas with the main components N2, CO2 and H2O. On the other hand, the exhaust gases contain also a lot of species which were certainly not present in the pre-biotic atmosphere of the Earth. We therefore studied plasma induced chemistry in a pure N2-CO2-H2O mixture. The main result was the identification of several amino acids accumulated in the water inside the reactor. Further research of transient spark in N2-CO2-H2O mixture also showed the presence of NH, CN and CH species in the gas phase, which are precursors of amino acids.